The experience of watching a movie or playing a video game is much better when the images you are looking at are nearly perfect. Vivid colors and crystal clear images simply make the home entertainment more fun and enjoyable. The emergence of the 4K technology has made available the highest image quality currently imaginable to wide audiences. Selecting a 4K projector that will meet all your needs is not easy at all because there are a lot of factors that need to be taken into consideration before choosing the 4K projector that is capable of projecting true 4K image quality. 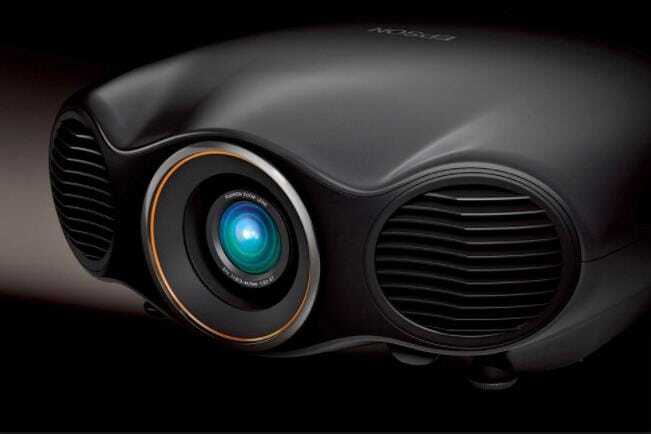 However, the 4K projector market is largely dominated by two major manufacturers Epson and Sony. We have put together a guide through best 4K projectors currently available on the market to help you get all the information you require before choosing the 4K projector that best fits your needs. With so many movies being filmed in 4K, there is no reason why you shouldn't enjoy them in the comfort of your own home while projecting them from one of the best 4K home theater projectors on the market. Having a 4K home theater projector will enable you to have a movie theater experience anytime you want without having to leave your living room. 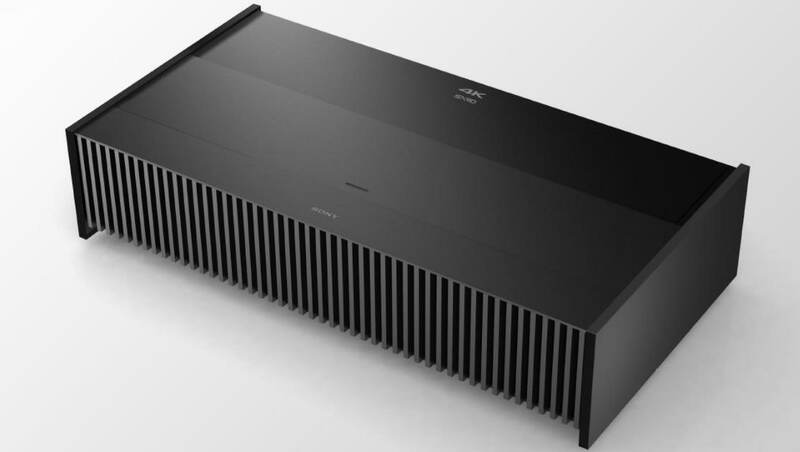 The stylishly designed little black box that is Sony VPL-VZ1000ES, which is actually quite a rarity in the world of 4K home theater projectors. 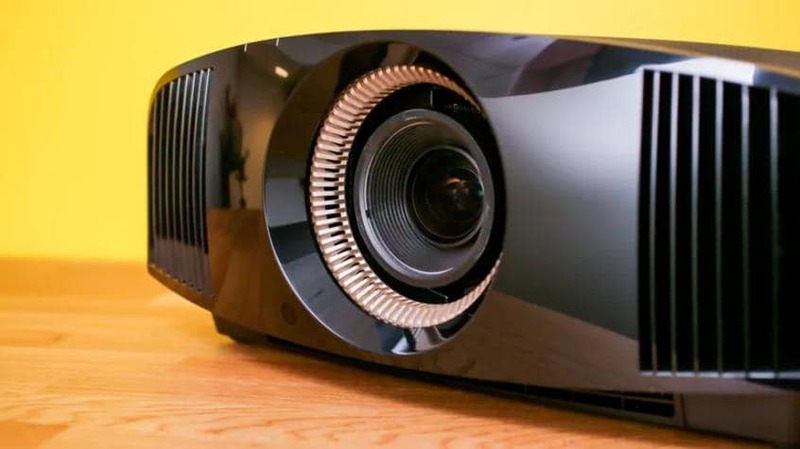 The first and most important thing to know about this projector is that it features a native 4K resolution, which is more than most projectors are capable of. It is labeled as 'ultra short throw' which means that it can project huge images when placed only inches away from the wall. The SXRD imaging system is perhaps Sony VPL-VZ100ES' most appealing feature because it creates stunning Ultra HD 4K images. The Sony's high-end 4K home theater projector can also play HDR images in the industry standard HDR10 and HLG broadcasting formats. The VPL-VZ1000ES' high price is more than justified by the superb image quality it produces and its amazing features. Currently, Epson's LS10500 is the only laser projector that can be purchased for under $24.000 that can accept both 4K and HDR content. The Epson's Pro Cinema model features a 3LCD reflective laser technology accompanied by a 4K enhancement that enables it to accept 4K UHD input and deliver highly detailed images. With color brightness and white brightness as high as 1500 lumens the colors of the images projected by LS10500 are vivid and lifelike. Furthermore, Epson's laser 4K home theater projector is equipped with an Absolute Black contrast ratio that keeps the image color tones perfectly balanced. The 4K optimized lens has both horizontal and vertical lens shift that helps you position the projected image perfectly on the projection screen. Epson's Pro Cinema LS10500 4K home theater projector comes with a ceiling mount that enables you to place it wherever you want. Another model from Epson's Pro Cinema series that comes with a 4K enhancement. The entry level projector has a native resolution of 1080p, but the 4K enhancement enables it to play 4K UHD content. Furthermore, it is also compatible with HDR content and it has an extraordinary range of brightness levels. 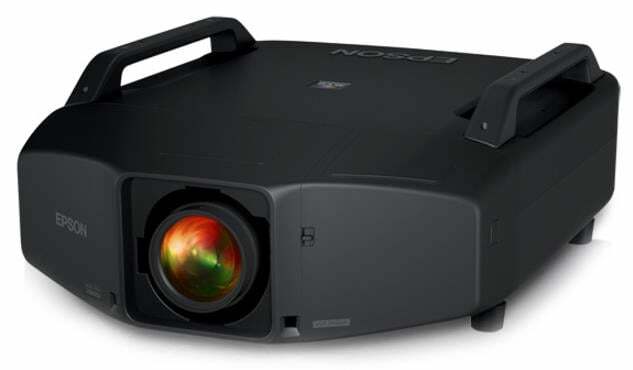 The 6040UB has 3 times brighter colors than most of the projectors in its price range, which is why the colors on projected images appear vivid and lifelike. With the color brightness and white brightness outputs at 2500 lumens and a contrast ratio 1,000,000:1, the Epson's 6040UB is probably the best 4K home theater projector in its class. The Epson's Pro Cinema series model is an excellent choice for those who want to enjoy the benefits of a 4K home theater projector at an affordable price. Most businesses use projectors for presentations in conference rooms, lecture halls and other spaces that can host large numbers of people. The key factor in best 4K projectors for offices is high projector brightness that enables them to project a clear image despite the overwhelming amount of light pollution. 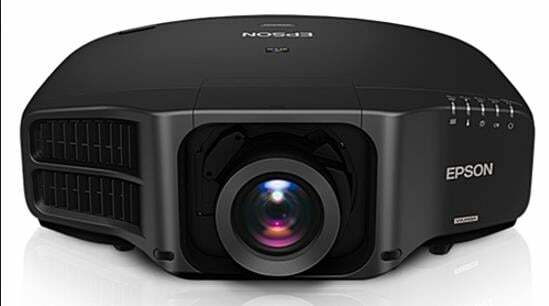 Most of the 4K projectors for business purposes are incredibly light and portable as they are designed to be functional in a wide variety of situations. The smart and elegant design of the Epson Pro Z10005UNL projector is accompanied by technology that makes Epson's high-end projector perfectly suited for large venues. With color and white brightness at 10.000 lumens this projector can project images with vivid colors, even when the amount of ambient light is at a high level. The native resolution of the Z10005 UNL WUXGA (1920X 1200) is paired with 3LCD, 3-chip technology to ensure a powerful performance. 3D-SGI connectivity allows for the transmission of uncompressed video signals while HDBaseT spares you of going through too much trouble with cables since it combines HDMI, Ethernet, and RS-232 into one cable. The Epson's high-end projector comes with seven optional lenses and offers a number of features that make operating this remarkable piece of equipment effortless. 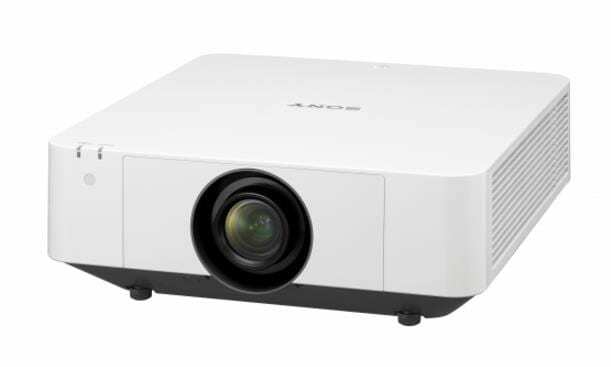 Sony's VPL-FHZ65 laser projector is perfectly suited for education and business purposes because it features a powerful Z-Phosphor light source that is paired with Sony's 3LCD projection engine to provide images with rich and stable colors. The native WUXGA resolution along with brightness of 6000 lumens make this intermediate laser projector a reliable option even in less than perfect conditions. With the contrast ratio of 10000:1 the VPL-FHZ65 is more than capable of providing a solid all-around performance. The estimated life of the laser light source is around 20.000 hours without any maintenance while the Picture Mute and Auto Dimming features save energy and protect the projector from wear and tear of daily use. Considering its potential, the VPL-FHZ65 can be considered a cheap 4K projector, that certainly offers more than its price suggests. The Epson's flagship G series projector is ideal for large venue video and data projections, because of the rich and vibrant colors it creates. With the native resolution of 1920X1200 and a superb High-aperture Epson, 3-chip 3LCD projection system, it is among the best 4K projectors in its price range. By using pixel shifting the G7905U enhances 4K images and produces crisp and clear pictures. The value of 7000 lumens for both color and white brightness makes this large venue projector highly functional even in situations with high amounts of ambient light. The projector performs exceptionally well in the Cinema mode with lumen value at 5000, because the colors appear smooth and clean. The G7905U comes with a set of 9 interchangeable lenses that enable the users to perfectly adjust the images to the projector's distance from the projection screen. The Epson Pro G7905U large venue projector offers more than most 4K projectors in its price range. One area where 4K projectors are absolutely dominant is the size of the image, which makes them a perfect choice for sports events and gaming tournaments. Projectors enable you to adjust the image size according to your needs and they are much more cost efficient than flat screen monitors, especially if you need to project really large images. VPL-GTZ1 is an ultra short throw 4K projector, which means that it has been designed for a more flexible installation. You can get 66-inch diagonal image by placing the Sony's high-end projector just a couple of inches away from the projection screen, and if you move it just a little bit further you can get a picture that has a 147 inch diagonal. Furthermore, the quality of the images this 4K projector creates is highly detailed and crystal clear, because of the native Full HD 4K resolution that offers 8.8 million pixels. Sony's advanced SXRD technology enables the VPL-GTZ1 to have an ultra-fast response time by minimizing the space between pixels. The color and white brightness values of 2000 lumens guarantee a high contrast across the screen, while Motionflow feature makes all rapid motion look smooth, and for that reason, Sony VPL-GTZ1 is one of the best 4K projectors for sports and gaming on the market today. This Sony's 4K projector can project images as large 150-inches, which makes it an affordable solution for large sports venues that need to have huge images projected. On the other hand, with white and color brightness at only 1500 lumens, VPLVW350E might underperform in situations with a lot of light pollution. However, the 4K native resolution that is four times higher than Full HD resolution more than makes up for low lumen values. SXRD panel that minimizes the space between pixels and has a response rate of 2.5 milliseconds is paired with the advanced Motionflow technology to create lifelike images of rapidly moving objects. Sony VPLCW350E is one the best 4K projectors in its price range, that is capable of delivering large 4K images to users who like to enjoy the highest image quality imaginable. Excellent image quality demands high color brightness, which is why Epson has equipped 5040UB with a 3LCD, 3-chip optical engine that has 3 times brighter colors than any of its competitors. The Epson's entry-level 4K projector has a native 1080p 4K enhanced resolution that enables it to stream 4K footage and Ultra HD Blue-Ray content. The 5040UB is also HDR-enabled and is capable of displaying a wide range of colors from deep blacks to sophisticated reds, greens, and blues. With white and color brightness value as high as 2500 lumens the projector can easily adjust to different light conditions, although rooms that have a higher level of light pollution are probably not the best choice for this remarkable 4K projector. Epson 5040UB is a cheap 4K projector that is capable of much better performance than most of its competitors.